Your lawn will be much happier if you raise your mowing height (rather than lower mowing, where the lawn is under constant stress). Maintaining lawn between 2 ½ and 3 ½ inches is recommended for most cool season grasses. (Longer grass blades look greener and give more mass, shade the soil and help reduce moisture loss, taller grass means deeper and thicker roots, as well as more food being made and sent to the roots, and a longer cut usually requires less mowing frequency. Grass blades are mostly water and about 10-15% nitrogen, so they break down quickly (do not contribute to thatch), totally enjoyed by earthworms, and return nitrogen back to the soil. Be sure to mow on a regular basis/mulching mowers are ideal for chopping those blades finer for an even quicker breakdown. Do this on a regular basis (as often as every 12-15 hours of use – or at least 2-3 times during the season). A sharp blade makes a clean cut rather than shredding or tearing the grass blades, which can make the lawn look yellow or brown, as well as susceptible to diseases. A sharp mower blade also makes it easier for the mower to cut the lawn. Mow north to south one time, then east to west the next. Maybe even mow diagonally now and then. It keeps your grass blades standing upright, rather than laying in one direction. Core aerating the lawn (pulling plugs out of the soil) helps to open compacted soils and allow better air flow, water flow, and nutrient flow to the roots. It helps to alleviate soil compaction due to soil types, foot traffic, etc. This is a very good time to add organic matter back to the soil by topdressing after core aerating and raking the compost into the open holes.) Done spring or fall – frequency depends on soil types, traffic, etc. Water as needed, and do it thoroughly. Most lawns would like one inch of rainfall every ten days or so, if you need to supplement that inch, do it all at one time deep and thorough watering. Early morning (5-9AM) is best, late afternoon ‘okay’; mid-day and night are the worst. Make sure you have a rain gauge to know how much rainfall your lawn has received. Two feedings in the fall are the most important feedings for all cool season grasses. Spring feedings (early summer) may be needed depending on the type of grass, as well as weather and soil conditions. Have your soil tested to see exactly where it stands with nutrients and pH levels. There is no one “best” grass for the area, but some do better than others. Check with the garden store pros to determine which grass (blend or mix) is best for you and your lawn. 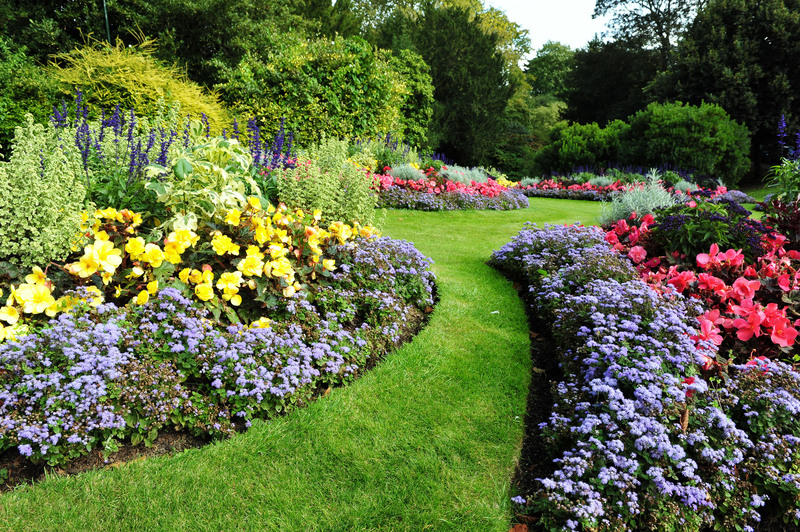 Remember, a thick, healthy lawn means fewer weeds and disease problems. No lawn is ever weed and disease free but can be minimized thru proper practices.